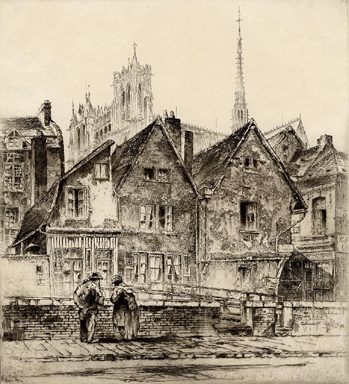 Kramer Fine Art | Amiens - The Cathedral of Notre Dame, From the Lower Town. Etching, 1926, Fletcher 181, edition of 100. Signed and dated in pencil. A prize winning print. 10 3/4 x 9 7/8.